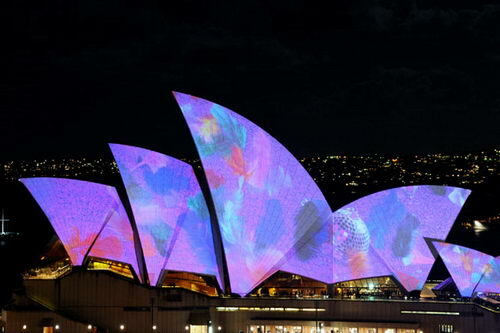 For the second year running, Sydney celebrates the approach of winter with Vivid Sydney, a festival of light, music, and ideas. 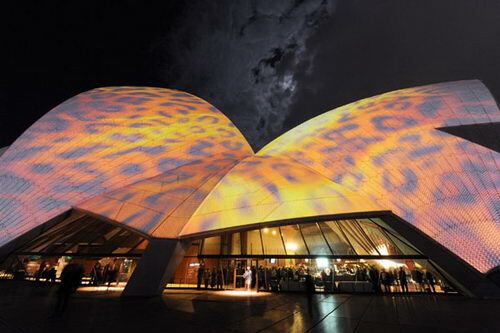 From 27 May to 21 June 2010, Vivid Sydney brings together large scale light installations and projections, music performances, creative ideas, stimulating discussions and debates, showcasing Sydney as a major creative hub in the Asia-Pacific Region. 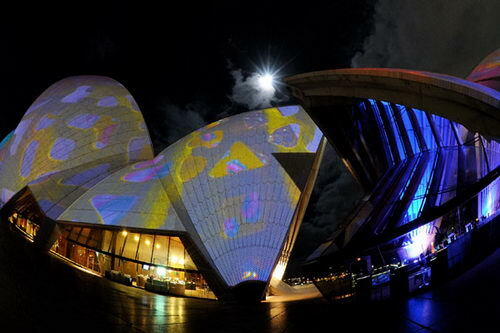 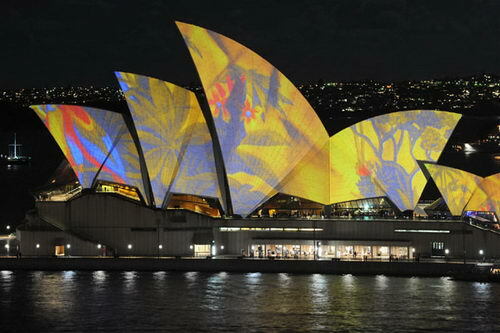 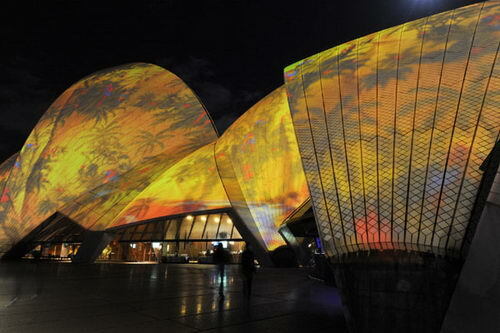 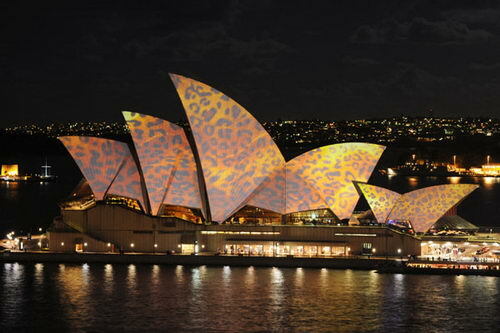 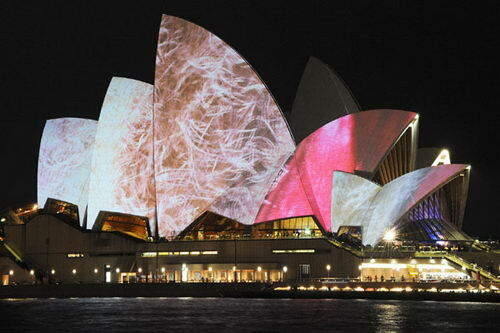 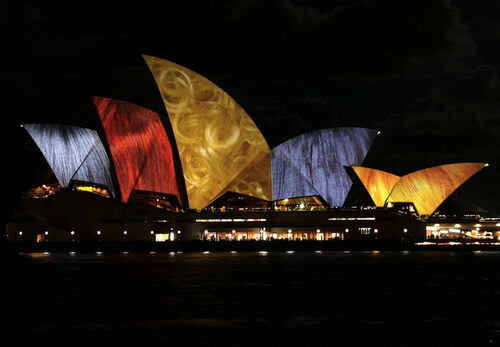 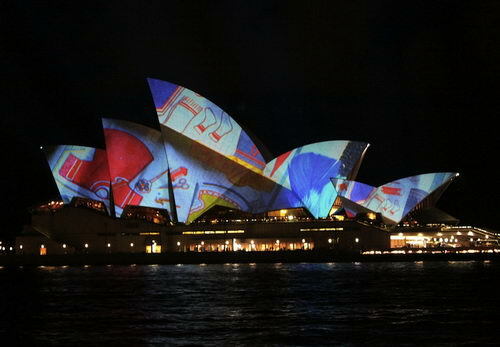 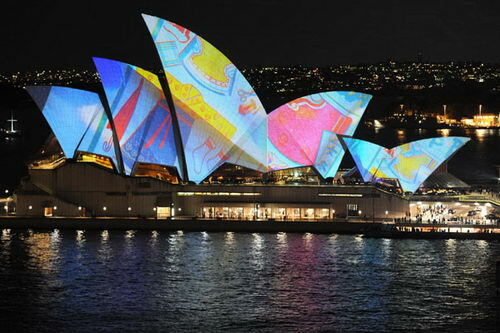 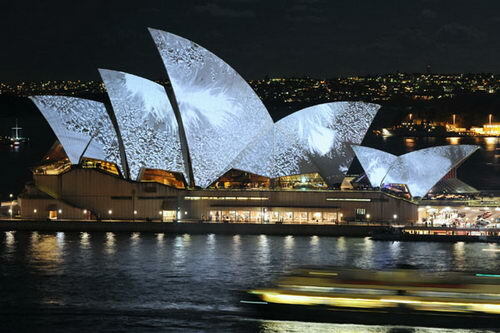 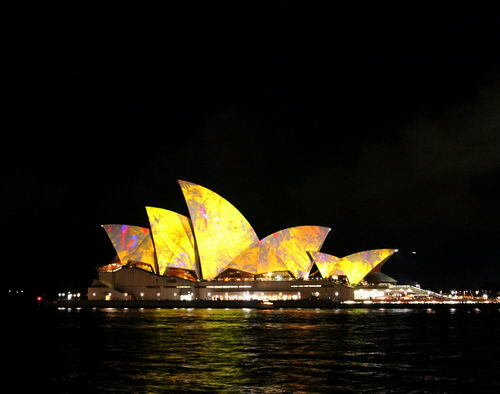 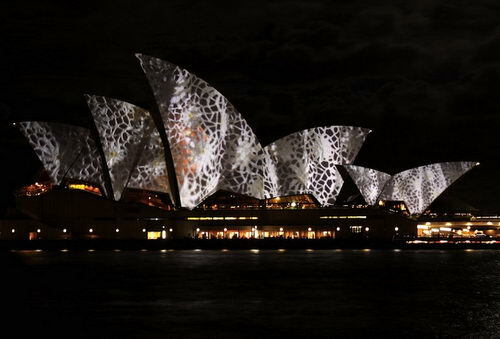 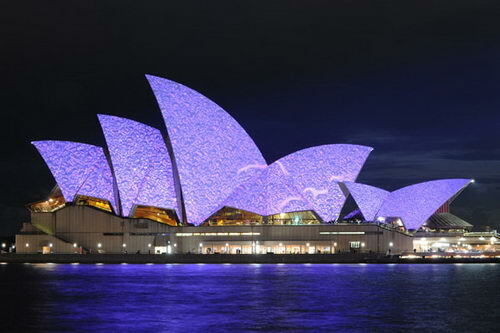 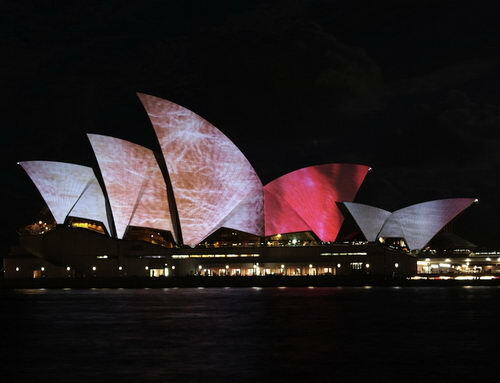 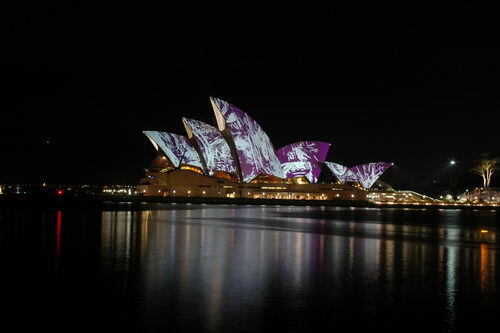 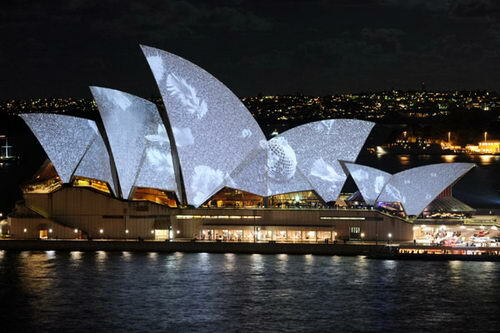 The main attraction of the festival, which is stealing everyone’s breath away, is Laurie Anderson’s “Lighting the Sails,” a slide show of vibrant images, projecting everything from hair, flowers, leopard-print patterns, fireworks, and paper doll clothes onto the shells of the Sydney Opera House.